How Much Does the 2017 Volkswagen Tiguan Cost? How Many MPG Does the 2017 Volkswagen Tiguan Get? What’s New for the 2017 Volkswagen Tiguan? The 2017 Volkswagen Tiguan is the most recent Volkswagen vehicle to hit the market as well as also being the latest in the Tiguan model series. The new Tiguan is built as a compact crossover and has special handling that is complimented by it being a comfortable ride. New features include a new Wolfsburg edition trim to replace the mid-level SE and R-line trims from earlier. In terms of performance, the EPA of the vehicle allows it to have a combined miles per gallon rating of 21 MPGs, being able to drive 20 miles per gallon through the city and 24 when on the highway. The car also runs heavily on premium unleaded gasoline, though this is not a specific requirement. A 6-speed shiftable automatic transmission is found in the vehicle engine along with an all-wheel drive and inline 4 cylinders. The engine has a 200 horsepower rating and runs up to 5,100 wheel revolutions per minute. With 109 cu. ft. of passenger space, the Tiguan has one of the larger cabins in its class. This keeps everyone more comfortable. The driver also gets a tilt-and-telescoping steering wheel in addition to an adjustable seat. The 60/40-split rear seats allow you to expand the trunk for more cargo space. You only have to step up to the SE to get heated front seats and attractive leatherette upholstery. This edition also has push button start and a sunroof. If you prefer, you can enjoy the sports seats on the GLI edition. The SEL editions have a power driver’s seat, dual-zone temperature control, and a cooled glovebox. The 2017 Volkswagen Tiguan comes with many special features and safety measures that make it a fairly attractive ride for anyone. The new Tiguan can seat a total of five people inside. Cruise control has now become a very standard feature in this vehicle, complete with electric power steering and both the cruise and audio controls mounted onto the steering wheel that is also tilt adjustable. Keyless ignition is also a special feature included and also a special backup camera involved for pulling out of spaces. In terms of safety, nothing has been spared for expense, such as the inclusion of child seating anchors and rear door child safety locks for younger passengers. Emergency braking assist and engine immobilizers are now included in the model to deal with problems that may occur in the event of a brake failure or potential car accident. The 2017 Volkswagen Tiguan is currently up for sale at the Volkswagen of Streetsboro location. 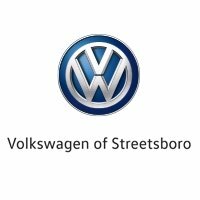 Anyone who wants to learn more about this model can contact our Streetsboro Volkswagen dealership; and, make sure to ask about taking a test drive today. At our dealership, customer satisfaction will always be a top priority. * Starting MSRP of $24,995 for a 2017 Volkswagen Tiguan S 2.0L TSI® with 6-speed automatic transmission. Prices exclude transportation, taxes, title, other options and dealer charges. Dealer sets actual price. ** 20 city/24 highway mpg (2017 Tiguan 2.0L, 6-speed automatic transmission). EPA estimates. Your mileage will vary and depends on several factors, including your driving habits and vehicle condition.